"My main non-scientific interests are: hiking, wildlife observation and visiting ancient cities. I am also an ant-keeper – currently having seven ant colonies. In the past I was breeding parrots – keeping more than 100 of these majestic birds. " Zbigniew Szkop is a graduate from the Faculty of Economic Sciences (WNE) at the Wroclaw University of Economics and the Inter-Department Studies in Environmental Protection (MSOS) at the University of Wroclaw. 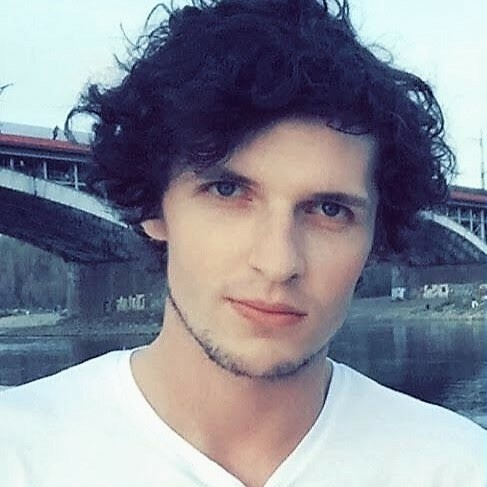 Since Zbigniew Szkop has started his Ph.D. study at the Department of Economic Sciences (WNE) at the University of Warsaw he was working as a Teaching assistant and Research Fellow in number of national scale and international scale research projects. His main field of experience is assessment and valuation of urban ecosystem services. KAMPINOS WETLANDS (Wetlands conservation and restoration in “Puszcza Kampinoska” Natura 2000 site). Economic valuation of ecosystem services provided by the Palace Park in Wilanow" research project. ERASMUS European Exchange Program Scholarship (University of Maribor, Maribor (Slovenia)). Szkop, Z., Zawojska, E., Czajkowski, M., Żylicz, T., Economic valuation of ecosystem services provided by the Palace Park in Wilanow. A benefit transfer study, Economics and Environment, 2016. Szkop, Z., Valuation of ecosystem services provided by urban trees: The role of Krasinski Garden in air quality and human health in Warsaw, Environmental & Socio-economic Studies, 2016. Kalinowska, A., Wiśniewski, R., Szkop, Z., A comparative study of environmental awareness among bachelor students of selected fields of study at The University of Warsaw, Environmental & Socio-economic Studies, 2016. Szkop, Z., Study of Wilingness To Pay of tourists visiting Sleza Landskape Park, Research Papers of the Wroclaw University of Economics, 2015. Ciechelska, A., Szkop, Z., Economic Instruments for Municipal Waste Management - Case Study of the Landfill Allowance Trading Scheme in England, Research Papers of the Wroclaw University of Economics, 2014. Kurczaba, A., Szkop, Z.,The environmental awareness among primary school students, Research Papers of the Wroclaw University, 2013.